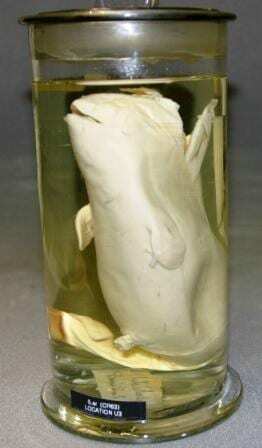 1) The beluga whale is snow-white. As in its colouration, not the woman who hangs out with dwarfs. It looks a bit like a dolphin on steroids due to its stocky body and peculiarly small head. Their scientific name Delphinapterus translates to ‘dolphin-without-a-wing’ which refers to its lack of a dorsal fin, very unusual amongst whales and dolphins, though it is not the only species lacking this appendage. 2) Stocky they may be but cumbersome they are not. In fact beluga whales can have such a flexible neck they are able to turn their head left and right, also unusual amongst whales and dolphins, almost up to 90 degrees in either direction. Their excuse for all these weird and wonderful features is their lifestyle. Beluga whales live in and around the Arctic, which also accounts for their chubby 15 cm thick layer of blubber. 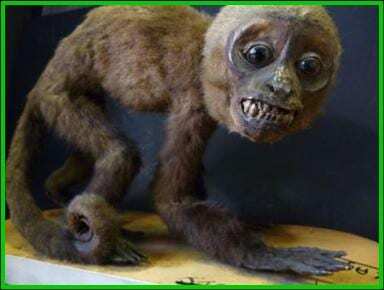 They primarily hang out near the edge of the Arctic ice where in the winter they have the best chance of finding cracks in the ice through which they can breathe, that are opened up by ocean currents and the wind. 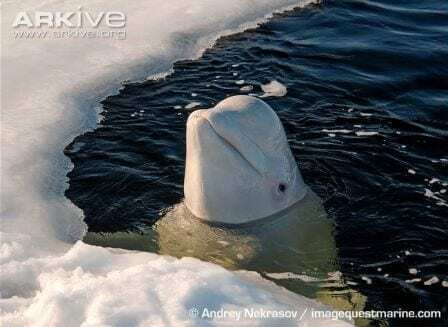 When mother nature lets the belugas down, they are able to bash through thin ice with their head. (Note the restraint shown by not using any puns here about ‘using your head’). 3) Belugas are predators and feed on fish as well as invertebrates that inhabit the sea-bed which scientists think they hoover up with the aid of their flexible lips. They find prey by sending out sounds from their nasal passages that get picked up when they bounce back, by that big old melon on their heads (honestly, that is the technical anatomical term). 4) Beluga whales are very friendly and enjoy a good social life. During the summer they have gatherings comprising thousands of individuals. As with any social engagement, the males tend to form batchelor groups whilst the females with calves often meet up separately for a natter (see point six). Although lacking the normal mammal character of hair, belugas still moult in the summer. They use the rough gravel on the sea bed to rub themselves on, which sheds old, yellowing skin, leaving them dazzling white once more. 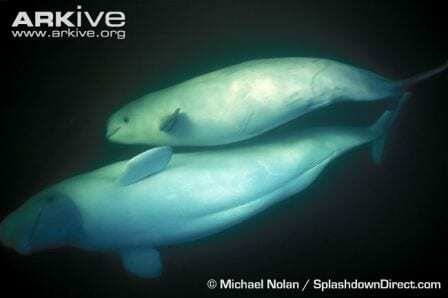 5) The female belugas reach sexual maturity around the age of five. After a gestation period of just over a year, a single calf is born that will feed on its mother’s milk until it is two. The mother and calf will swim side by side during this time for protection of the baby, and virtually are inseparable. Extra special bonus fact number 6) Although many whales are known for their ‘singing’, beluga whales were nicknamed ‘sea canaries’ by early Arctic sailors due to the wide range of clicks, grunts, squeals, screeches and whistles, that can in fact be heard right through the hull of a ship.